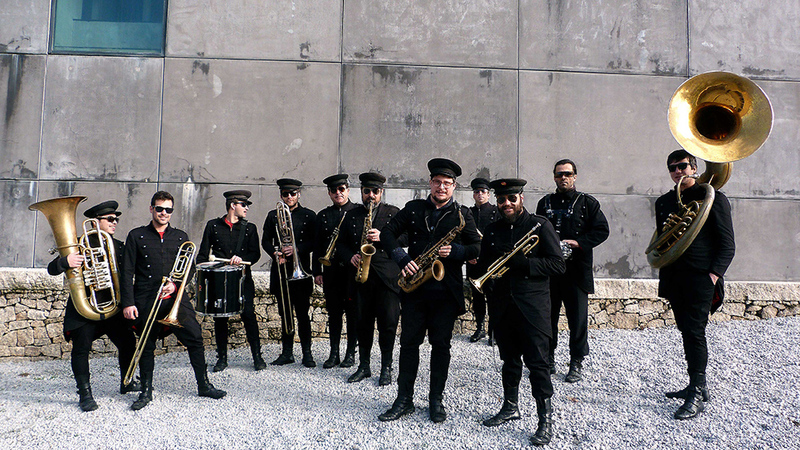 Fanfarra Káustika (FK), defined by the constant desire to re-build and innovate, is a collective of musicians that know each other, personal and musically, for being connected since early to the philharmonic music and bands. 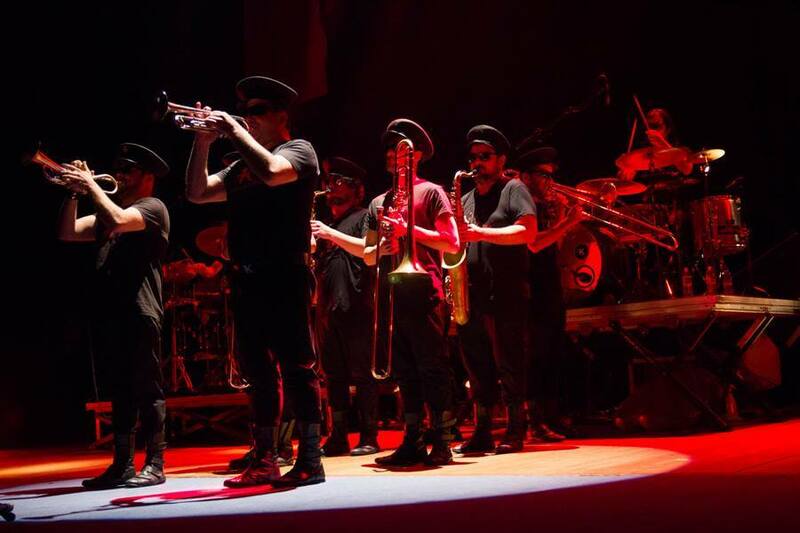 The project took its shape when, in 2007, at the time of the passage of the group “Fanfare Ciocarlia” by Portugal, the FK reinterpreted some of their songs and performed it as an opening act. The success of such performance allowed them to see the potential of the project in a wider perspective. In the next two years the group did more than 60 performances around Portugal, in countless festivals, street shows and others. With the accumulated road experience, the project consolidated its artistic shape around the own language and performance, acquiring its own identity. From 2011, after de premiere of the show “Punk Filarmónico”, the FK has shown only original themes lined in a single register: The Kaustik Style – “Punk Filarmónico”. Resulting from the convergence of various influences, the “Kaustik Style” is featured by the will to open and tread new musical paths, showing a dark sound combined with an electrifying attitude and highly contagious! With the recording of “Transe Sinfónico” (2015, author edition), the group intends to strengthen its artistic space in the national scene and reach further abroad. Fanfarra Káustika is unique! Original, genuine and with a distinctive identity!